Editors Note: To close out our 2012 blog entries, we thought that we’d ask our resident bloggers to share some words on their favorite albums of 2012. 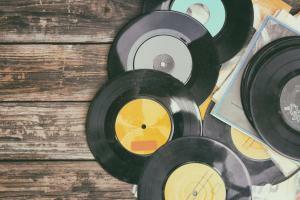 There is quite a vast array of musical styles in these lists, which is pretty neat and shows the range of interests in our team of bloggers. Now, without further ado, here’s our second entry for the Best Albums of 2012. This isn’t your typical year-end “Top Albums of the Year Post”. Mostly because I’m not one of those big magazines or critics who hears everything throughout the year. So this list is based solely on a very limited number of albums that I have heard throughout the year. There are a lot of albums on some of the major lists like Paste Magazine, Pitchfork, NPR, or any of the other online publications and blogs you might read, that aren’t on my list. Why? Well, it could be that I’ve never listened to them. Or, I just might not like them. That’s the beauty of lists like this. Sure he might be 67, but Young is still cranking out great music and pushing the envelope. Possibly his best album with Crazy Horse since 1979’s Rust Never Sleeps. In an indie-folk world dominated by Mumford & Sons, this band from Iceland has produced a fun album full of songs you’ll want to sing along with. The Muscle Shoals sound is alive and well in the 21st century with this wonderful blend of blues-rock, roots music, and soul that will take you back a few decades, while, at the same time, sounding fresh. Produced by the very talented Richard Swift, this album from Jurado is a bit of a departure. Experimental, dreamy, ethereal are all words that seem to describe this beautiful disc well. Singer/songwriters Trent Dabbs and Amy Stroup have worked together quite a bit on Dabbs’ Ten out of Tenn projects, and their pairing has produced some great material that both transcends and complements their solos work. With Sugar & The Hi-Lows they stand the chance of breaking through, with a garage pop sound that seems like the perfect driving companion. The two have also recently released a Christmas album, Snow Angel, with some originals and classics. The sound of Sugar & the Hi-Lows is quite different than their individual solo work, but you’ll want to check that out as well, especially Trent’s. Ken is the owner of Inkling Media and has worked extensively in the radio industry as well as social media. Ken has a Bachelor’s Degree in Broadcasting as well as graduate work in Mass Communication. He and his family live in the city of Lancaster, where he can often be found working from his porch. Occasionally American Music Theatre asks other professionals to share their thoughts about music, entertainment, the region, and more. Please check back for more posts from these individuals.